Most every songwriter tries new work out for friends and colleagues. When Andrea Zonn does so, it must be especially nerve jangling, because her friends includes some of the finer songwriters of all time. Her years on the road as a fiddler and harmony singer for James Taylor, Vince Gill, Trace Adkins and others have drawn her close to some important artists. And she’s the first to tell you how much she values working for them. But on “Rise,” Zonn’s second album as an artist, they’re supporting her. To some, this might seem like insider talk, but it’s actually central to the creative process and to the exceptional results. Zonn knows as well as anyone that the right players and the right chemistry are what elevates an album and serves the songs. The ten tracks that emerged in this case elude any neat genre descriptions—folk-rock suits as well as anything – but they’re heavy on groove, natural tones and spontaneous, transparent beauty. Then came a life and family crisis. Andrea’s young son needed a series of dangerous brain operations. More than anything she’d encountered, she says, the surgeries and their related complications became a “catalyst for me learning to speak.” In a hospital setting, with so much on the line, she explains, “you can’t afford to pussyfoot around.” Suddenly she had plenty to say and the will to say it, so in the company of some extraordinary co-writers, new material came flowing out. 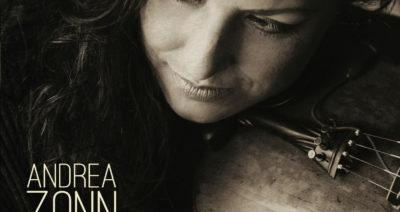 Andrea Zonn is rare in modern music in her twin training in classical and traditional music. In her teens, she became a national fiddle champion the same year she won a prestigious violin fellowship at the Aspen Music Festival. She played in bluegrass bands around the same time she was performing avant-garde classical music at Lincoln Center and the Library of Congress. Hoping to bridge the gap between folk and art music, she came to Nashville, ultimately landing a scholarship to Vanderbilt’s Blair School of Music. Zonn’s wide-ranging tastes and training helped her find extensive studio work, including recordings with Linda Ronstadt, George Jones, Amy Grant and countless others. Besides Vince Gill and James Taylor, her touring has included stints with Lyle Lovett, Trisha Yearwood and Jerry Douglas. In 2005, she ventured into production, initiating the Hands Across The Water album that raised money for victims of the Indian Ocean Tsunami. So she’s seen music making in all its possible outlets and venues. Somehow, Zonn found the time to pursue her desire to make a fresh album of original material. The first song that emerged and the one that became an emotional beacon for the project is the roiling gospel/New Orleans funeral number and title track, “Rise.” She’d just learned the extent of her son’s health crisis and as they came home to process what lay ahead, clouds began gathering for what would become the historic Nashville flood of 2010. The beginning of the song she felt that day was completed with phenomenal young musician Luke Bulla, himself a member of Lyle Lovett’s band. After that, songs continued to flow. Opener “Another Side of Home,” a study in how age changes our perceptions of the simple things, was written with Nashville power pop favorite Bill Lloyd and Thomm Jutz, a hidden treasure Nashville guitarist and record producer who is deeply wound into the way this album feels and sounds. 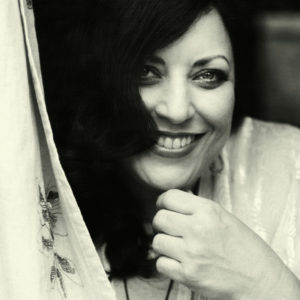 Jutz was also part of the writing session, along with recording artist, journalist and baseball fan Peter Cooper, that produced “Another Swing And A Miss,” the album’s melancholy swing jazz tune. “You Make Me Whole” has a mid-tempo Motown feel and is a lovely tribute to a friend or lover who went the extra mile. Here, James Taylor’s kindly background vocals evoke the similar message and magic of his touchstone song “You’ve Got A Friend.” The power of his belonging on this shimmering track is testimony that Zonn belongs in rarified company when it comes to songwriting and record making. One could say Zonn is worthy of close attention based on the company she keeps. But it’s even more telling that they seem just as honored to have her around.